You must be an artist and selling no resale items at your booth to qualify. You must have made what you sell. Standard Preferred and Premium Booths are 10×10 pipe and drape spaces. You can combine multiple spaces. 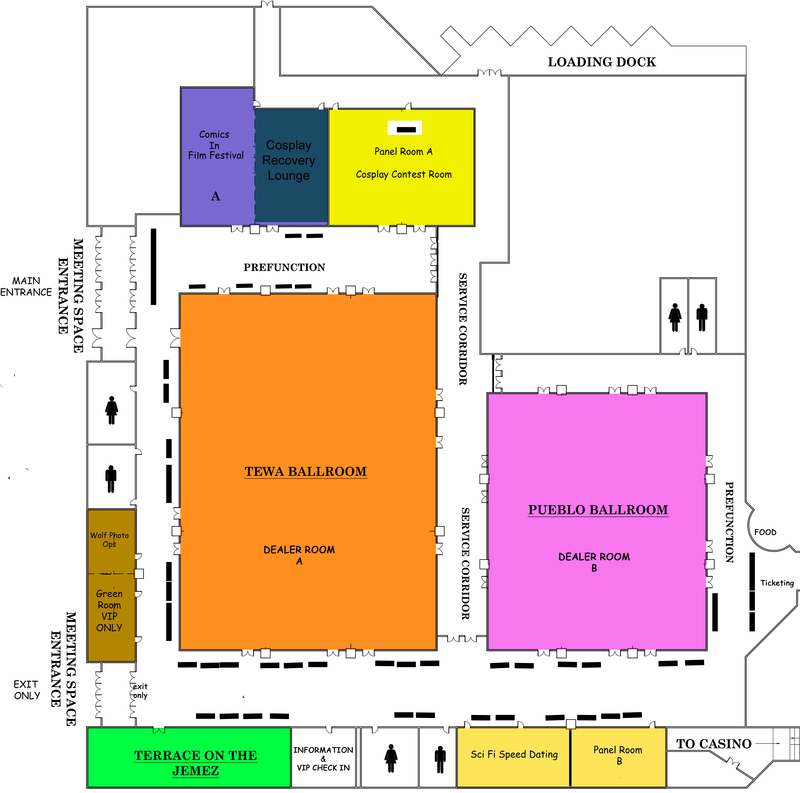 Santa Fe Comic Con Dealer Booths and Artist Alley Tables. PLEASE READ BEFORE PURCHASE TO MAKE SURE YOU SELECT THE CORRECT TABLE FOR YOUR NEEDS. All Booth rentals increase $50 if not purchased before October 1. 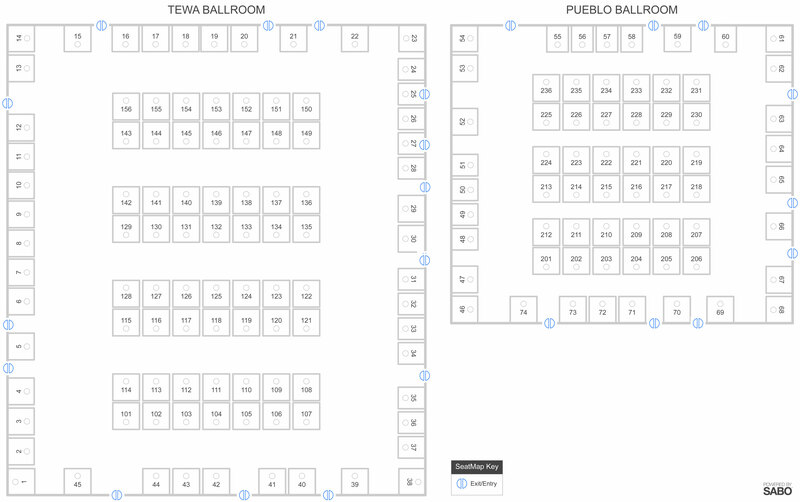 Don’t forget to scroll to see both ballrooms. Limit Two AA Tables per Exhibitor…You must be an artist and selling no resale items at your booth to qualify. You must have made what you sell. *No bladed swords are allowed at this con. *Each booth is for the three day weekend even though your confirmation says Friday and your packet will be available at check in. *Artist alley tables are for artists and handmade items only. Please make sure to add what you sell on your vendor application at the end of the purchase. Once your purchase is complete, you can expect periodic emails from me with updates or information that you may need ahead of time. Once your purchase is complete, You will receive a confirmation email from noreply@dirtroadtickets.com and a follow up email within a week with the terms and conditions and other event information. You will load in on the north entrance (Convention Parking. Details of set up are on page 2 of your dealer application. If you are a dealer needing power, or additional equipment for your set up, download the documents for all of the necessary agreements.